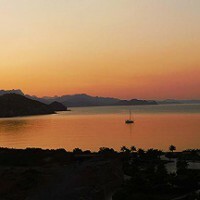 The new Danzante Bay Golf Course that Villa del Palmar at the Islands of Loreto is building in close partnership with Rees Jones is shaping up to be the islands’ premier course. The indisputably talented Jones knows how to make a challenging and beautiful course, of course he should; he’s designed over 170 courses already! This stunning 18-hole golf course being built on the Islands of Loréto is being designed with environmental issues in mind: Paspalum, a material perfect for the Baja California climate, will be used and Jones will be working with land in harmony. 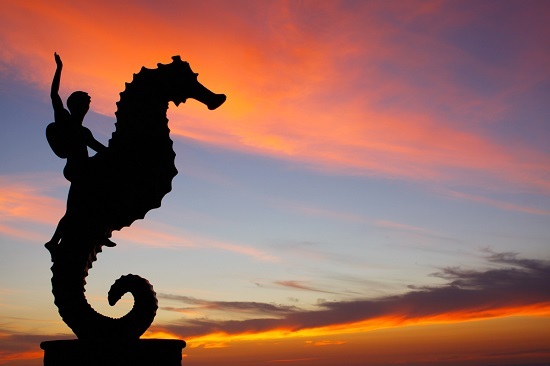 Situated on the scenic Pacific Coast of Mexico, Puerto Vallarta is known for its world class dining and cuisine. In fact there are not one but two culinary festivals in Puerto Vallarta each year which run alongside the various wine festivals and smaller gourmet events in the town. 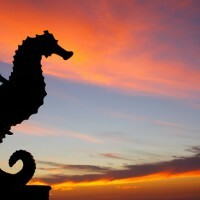 Deciding where to eat in Puerto Vallarta, though, is difficult because there’s so much choice! This is a must for anyone who wants romance with their dining experience; if you ask anyone where to eat in Puerto Vallarta, Blanca Blue will most likely be mentioned. 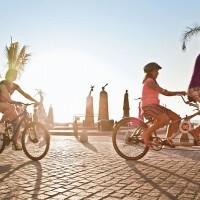 The Malecón is one of Puerto Vallarta’s most beloved features. The famed ocean view boardwalk is a mile long and forms a sea wall that protects the shops, bars and restaurants from the Pacific Ocean on Banderas Bay. The Malecón is the central point of Puerto Vallarta’s down-town area and it provides a pleasant promenade for tourists and locals alike; a sea view without the sand in your shoes, so to speak. 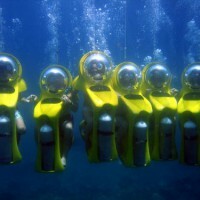 7 Activities in Cabo San Lucas – Watch out for No.5! 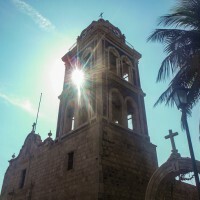 Lapping up the luxury and sunshine in Cabo San Lucas is by far the main attraction in Cabo; however, for those days when relaxing by the pool or on the beach leaves you with energy to climb a mountain, check out 7 activities in Cabo San Lucas that will leave you with memories you won’t forget, even if you tried. A blast for all the family. Telling a tale of betrayal and sword fighting, the Jolly Roger pirate ship will take you out at night, feed you and make you laugh until your jaws ache! 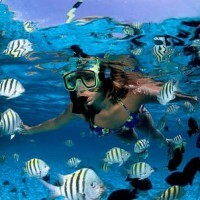 Loreto and the Islands of Loreto attract visitors from all over the world, especially the USA and Canada. It’s a stunning, sunny beach location in Baja California that has everything to offer to the nature-loving thrill seeker on vacation. With that in mind, here’s a list of the top 10 things to do in Loreto on vacation. 1- Bahia de Concepción (Conception Bay). The beaches to the north of Loreto are worth a day trip. Some of the greatest attractions of taking a vacation in Cancun are all the incredible sites of historical interest such as the ancient Mayan archeological sites. 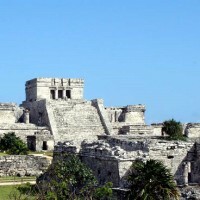 The Mayan ruins at Tulum are an attraction that will make you remember your Cancun vacations for years to come. Tulum is just over an hour and a half by car or taxi from the hotel zone in Cancun, making it an ideal day trip for those who decide to rent a car on their Cancun vacations. Puerto Vallarta International Airport first received flights in 1954 when the Mexican airline Mexicana first arrived to the beach destination, launching Puerto Vallarta’s status as a world class beach destination. Since then, the airport has continued to grow and receive more and more flights from an ever-increasing number of international and national destinations. 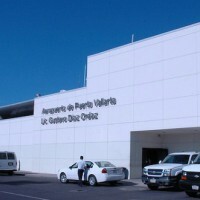 According to today’s statistics, Puerto Vallarta International Airport has welcomed more than 2.5 million passengers. Cabo San Lucas is a No.1 choice for honeymoons. Stunning beaches, startling sunsets, incredible landscape and the world’s best all-inclusive hotels. Deciding where to spend your honeymoon can be a difficult choice but Cabo honeymoons are truly unrivaled, especially if you are coming from the west coast of Canada or the United States as fights are cheap and short. 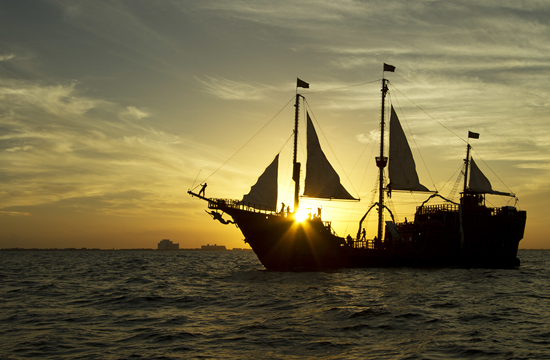 Let’s take a look at the top reasons for choosing a Cabo Honeymoon. 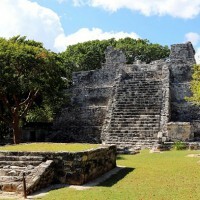 For top things to do in Cancun, everyone that plans a vacation to Cancun and the Riviera Maya are most probably familiar with the idea that the whole of the Yucatan Peninsula is full of wonderful vestiges of the Mayan empire. The most famous archeological sites are the pyramids at Chichen Itza or the oceanfront temples at Tulum, both of which are a good day trip from Cancun, between 1.5 and 2 hours away.